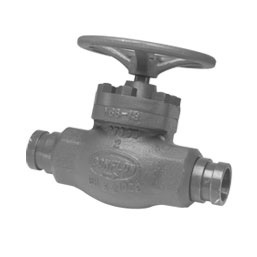 The Conflow Code 18 & 19 - Heavy Duty Stop Valves are inline valves to shut off flow in pipelines. The valve is a screwdown type so that large flows in large diameter pipes can be isolated by the gradual shut off of the valve. This eliminates hydraulic shock waves or water hammer being created which would damage the steel pipes and fittings. The fully open position gives a true full flow capability thus creating minimal resistance in the pipeline. The 4" unit incorporates a balanced pressure feature, which enables the valve to be opened and closed at high pressure with the minimum of effort.